Talkhon Hamzavi was born in 1979 in Teheran, Iran. She has Swiss and Iranian citizenship. Since 1986 she lives in Switzerland. In 2003 Talkhon attends the visual arts preparatory course in Aarau. From 2006 to 2010 she attended the ZHdK (Zürcher Hochschule der Künste) with a BA in Film. In 2012 she finished with a MA in film from that same art school. Her 25-minute short film Parvaneh is one of the 10 motion pictures selected from 141 qualified short films for the best Live Action Short Film at the 87th Academy Awards. Based on the regulations, three to five movies will ultimately be opted as the major finalists at the upcoming Oscars. Nominees in all 24 categories will be announced on Jan 15 2015 and the Oscars Ceremony will be held on Feb 22 2015. Parvaneh narrates the story of an Afghan girl who has entered a refugee camp in Switzerland, but when she comes to know about her father’s poor health condition in Afghanistan, she decides to send the whole money she had illegally earned in the foreign land to her family. She is forced to go to the city of Zurich, but due to not possessing a valid passport, she finds herself unable to follow her initial aim. Meanwhile, she meets a girl named Emily, and the rest of the story is determined by their friendship. 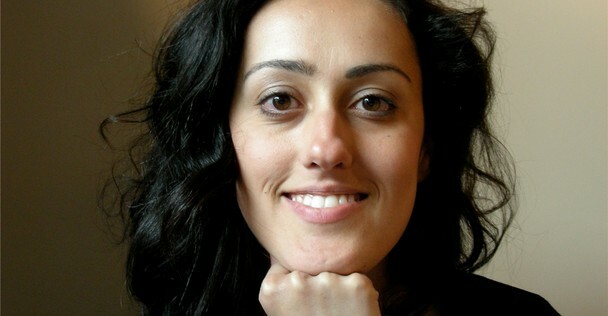 Hamzavi, who is currently living in Switzerland, has produced her film in German language. She had formerly participated in various foreign film festivals with Parvaneh, and in 2013, won the silver medal for the best foreign film at Student Academy Awards. Her film was forwarded to the Oscars from the country of her residence.